Woman 30 yo, hematuria and anemia with many cafe-au-lait skin spots. 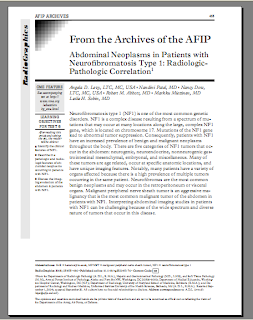 Ultrasound of abdomen detected normal kidneys; at pelvis, there was a big mass with size of 25 cm from pubis to umbilicus. Fig. 01 : Cross- sectional scanning of ultrasound. This mass was made by many small hypoechoic nodules, hypovascular and no detection of urinary bladder. The mass deplaced uterus to right side. 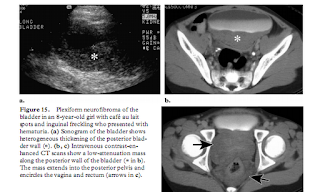 (Fig.02 : longitudinal US scan, Fig.03: uterus at right side). Along sciatic nerve route, scanning of the right thigh disclosed many hypoechoic nodules non compressible (Fig.04). MSCT Urology with CE, this mass was urinary bladder with urine contrast inside (Fig. 05-06). Cystoscopy detected inflammation and bleeding site, then performing of biopsy of bladder wall and the tumor of the right thigh. and from tumor along the sciatic nerve is neurofibroma (image microscopic). 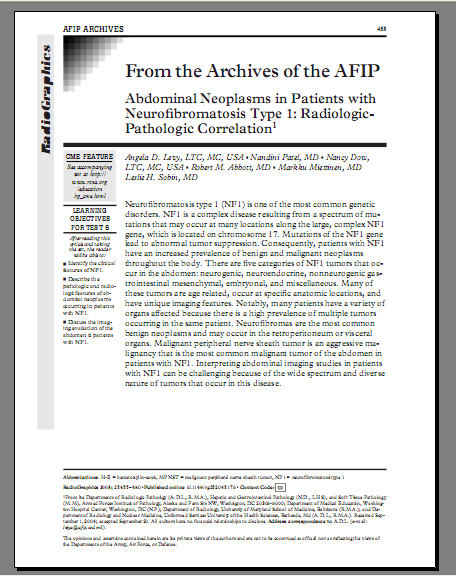 Reference from AFIP, plexiform urinary bladder of NF1.